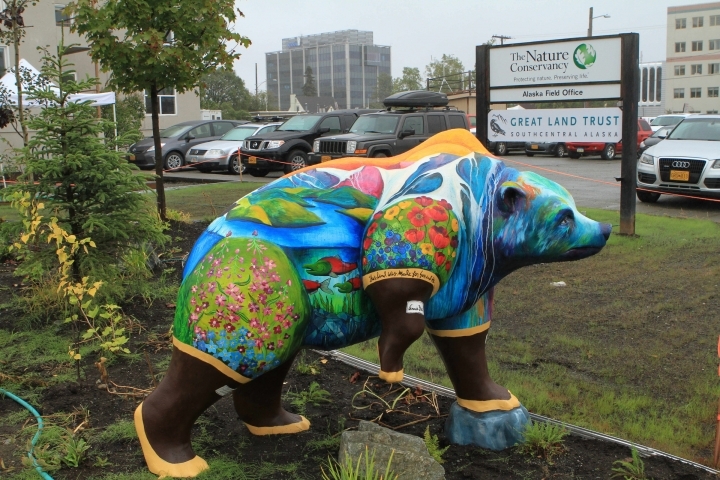 ANCHORAGE, Alaska — Alaska's largest city is home to more than 300 grizzly and black bears — and now more than a dozen multicolored ones. "The whole point of this was to engage in conversation about bears and their habitat — the food that they eat, where they live," said Brenda Carlson, a tourism official who helped organize the program. The city spans 1,958 square miles, but people occupy only about 204 square miles, according to the state Department of Fish and Game. The rest of Anchorage includes national forest, a state wildlife refuge, 55 to 65 grizzlies and 250 to 350 black bears. Bears can be deadly if they are surprised. To minimize maulings, the department's Anchorage Bear Committee, which is dedicated to local bear conservation, tries to educate people about how to live alongside the animals. 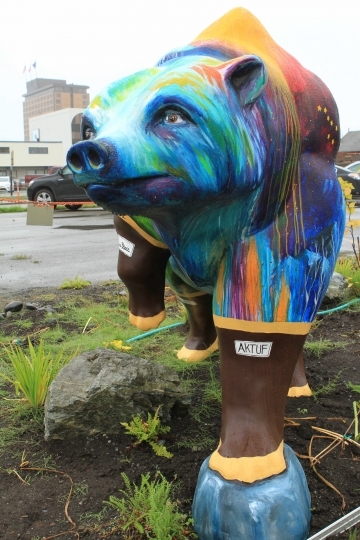 The panel wanted to coordinate the installation of statues with a summer conference of 700 international bear scientists brought to Anchorage by the International Association for Bear Research & Management. 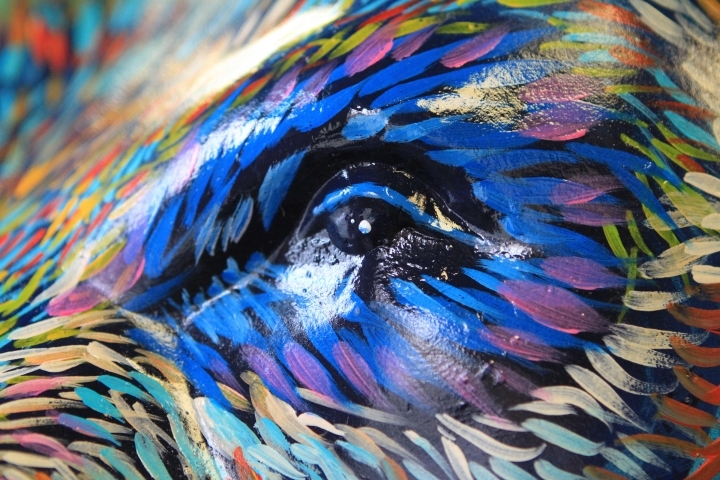 Carlson reached out to America's Fiberglass Animals of Seward, Nebraska, which has helped create more than 300 public art projects with fiberglass sculptures. Fifteen bears arrived by flatbed truck looking like polar bears — completely white. 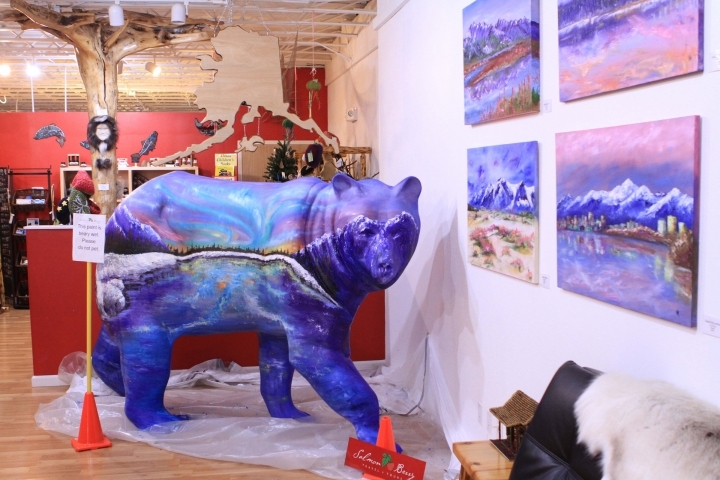 Sponsors paid either $1,750 or $3,000 for bears. So far, 13 have been painted, sealed and erected. Artists received loose instructions. 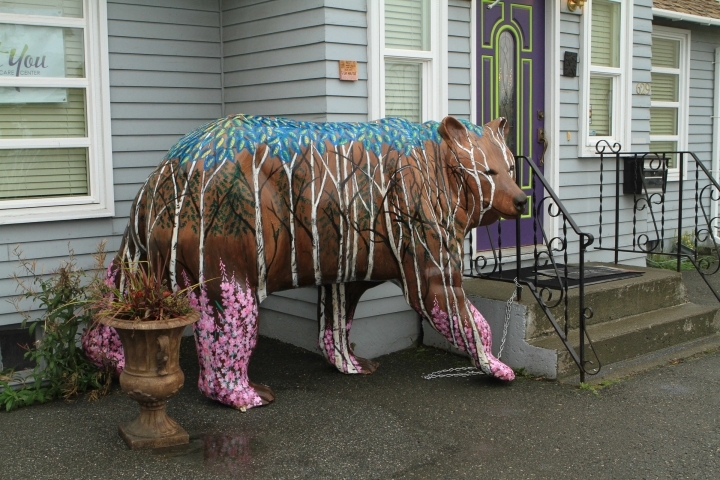 The adornment had to be family-friendly and reflect the beauty of Alaska, Carlson said. 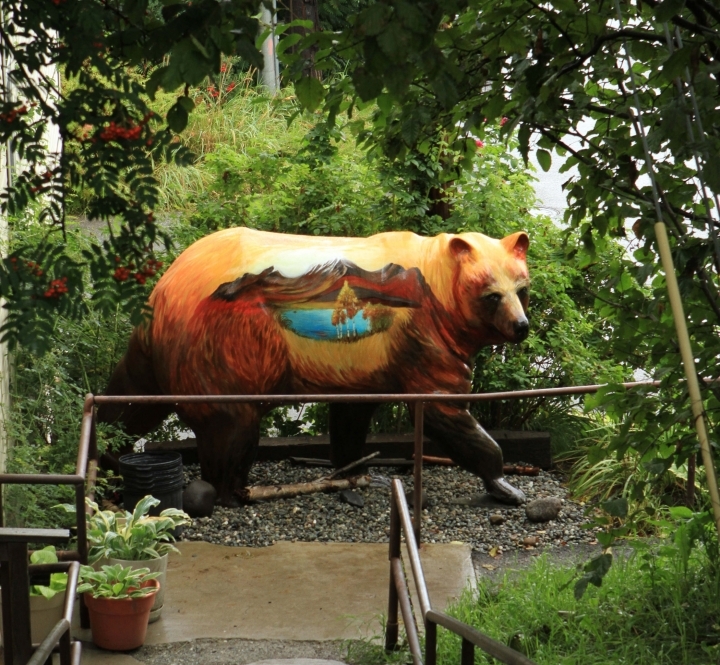 One bear has a birch forest painted on its side, while others are painted with rivers, wildflowers or the northern lights. A bear sponsored by an ice cream shop has a tongue that appears to be licking ice cream off its face. "I love that tongue," Carlson said, and it could fit into the theme of what a bear should not eat — human food. "Make sure your trash is put away, because that trash bear will be a problem," she said. The statues arrived too late for the early summer bear conference, but some scientists will benefit. The committee is donating nearly $8,000 from statue sponsorships to the next conference to cover scientists' expenses.